What a stupid title for this post, hopefully I think up something better, change the title and delete this sentence. 4 years ago, big storms moving through Vietnam, Cambodia and Thailand were a sound bite I overheard on the news or something I glanced when reading the international section of a newspaper. Now, what blows in from Cambodia, be it storms or other, impact my life; storms moving down the Oregon coast into Northern California are just a headline I skim. 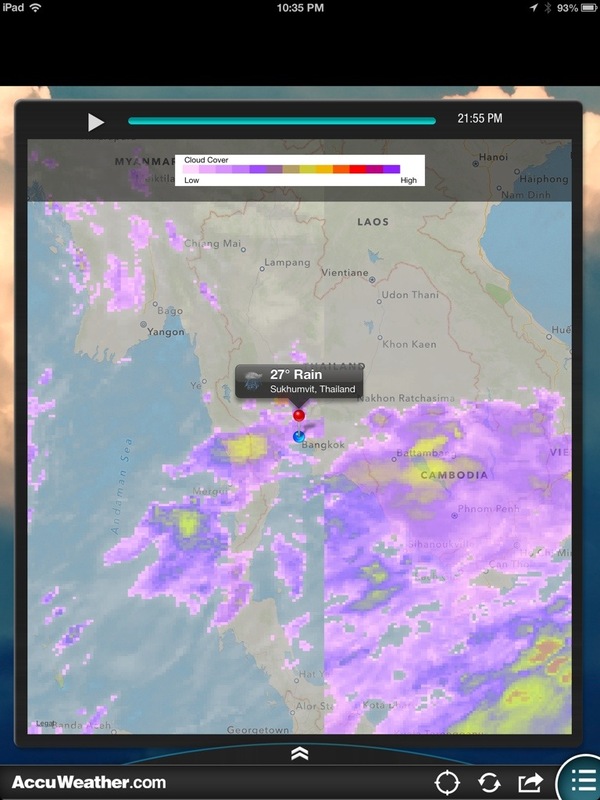 In understanding the winds and storm patterns of the rainy season, I understand that I now ‘live’ in Bangkok. This entry was posted in Farang and tagged ex-pat, living in Thailand, reality. Bookmark the permalink.